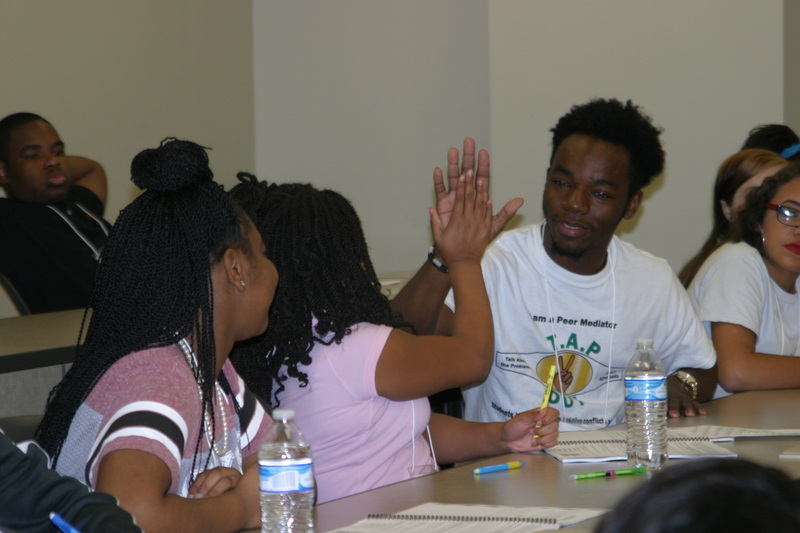 TAP (Talk About the Problems) is a peer mediation program making a difference in schools throughout the South. Students are trained as mediators, then work in pairs to assist their peers who are in conflict reach meaningful, mutually agreeable resolutions-- stopping conflicts before they escalate to violence, detention, or suspension. TAP empowers students to strengthen their schools by building communication and leadership skills that will last a lifetime and bolster an environment that is ideal for teaching and learning. Have more questions, or looking for something else? Drop us an email. Watch The TAP Intro Video! Who are the TAP Staff? Dave Miller, Director of Community Engagement at the ISJL, is a former teacher and Assistant Principal and committed educator. His dedication to public education brought him to this role with the ISJL. Rachel Glazer, the ISJL's Community Engagement Associate, worked for two years as a CE Fellow and is excited for her new role, expanding TAP's footprint in Arkansas and beyond. Lizzi Meister, the ISJL's Community Engagement Fellow (2017-2019), works with our TAP sites to train mediators and support Site Coordinators and Advocates in Central Mississippi and the Mississippi Delta. Ava Pomerantz, the ISJL's Community Engagement Fellow (2018-2020), works with our TAP sites to train mediators and support Site Coordinators and Advocates in Central Mississippi and the Mississippi Delta. ​We also have students from the Black Law Student Association (BLSA) of Mississippi College School of Law who volunteer their time to serve as program mentors, and community volunteers who help us out year-round.